Whether you are running a small business, non-profit, or getting a website designed for your personal use, there are a lot of moving parts that will certainly have an effect on the your final product. 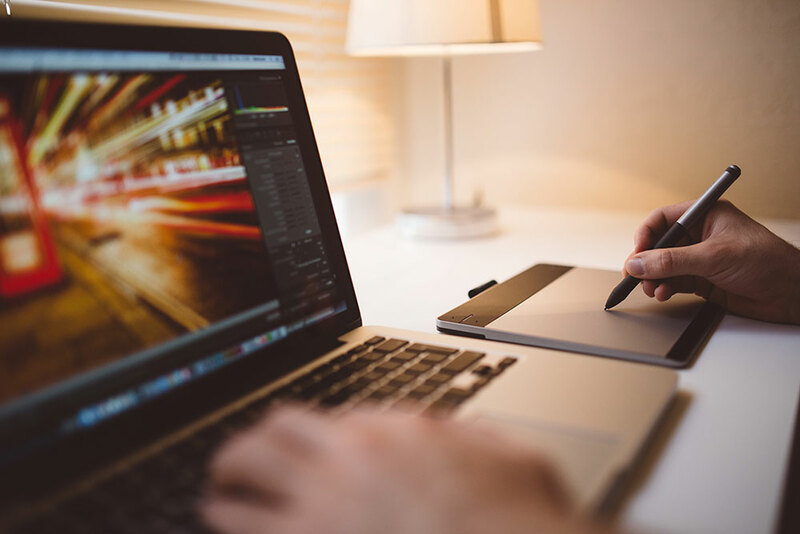 While the key to ensuring that the final product is something that you are ultimately happy with depends heavily on the skill of the web design company you are working with, an often underestimated amount of responsibility belongs to the client themselves. We at 215 Media have worked on countless projects over the years, and the best experiences for everyone involved are the ones where the clients have done a little homework, providing a clear vision and set of expectations to set the tone for starting the work. Below is a quick study guide to ensure you’re well prepared for the task at hand. This main sound obvious, but many people get so excited about starting their web design project, that they ignore what is arguably the most important part of any branding campaign, which is the logo. It’s also a major misstep to begin design with a logo that is not up to par. The idea of creating or updating the logo after the fact often leads it looking out of place on the site. Time to do some research. Unless you are creating something so innovative, that there is nothing like it on the landscape, you likely have competitors or comparable sites out there that are doing something really right or terribly wrong. Either way you should become very familiar with their sites and take note of the things that you love or hate about those sites and provide them to the designer. This gives them a really good idea of your personality, the tone you are looking to give the site, and possibly some potholes they can avoid while in development. A good designer will be able to take these guidelines and use them for inspiration without cloning the sites you’ve provided. Budget is always a tricky part when it comes to web design. Pricing for original web design range form under a thousand dollars, to 25k, and higher. Knowing your budget and sharing your budget, (I know the first instinct is to treat this experience like your negotiating for a car), will give everyone the ability to provide some realistic expectations as to what the final outcome. But it’s very much important to realize that like all things, you get what you pay for. So if you short change your budget too much, you could miss out on some of the bells and whistles you might have wanted. The biggest killer to many web design projects is content not being available. I can’t tell you how many times we’ve started a design at record speed only to wait months, (yes months), for a client to provide the information that would go up on the site. Avoid the frustration for everyone and spend some time accumulating the information needed before getting started. At the end of the day, why are you creating this site? Ideally what happens when someone visits the site. Are you writing a blog just to share information and generate revenue via ads? If so you’ll want to make sure dynamic content is easy to navigate. If you have items to sell, clear and concise calls to actions should be the focal point. Whatever the case make sure your goals are apparent. I can guarantee you that if you do these 5 things when engaging your web design company or web designer, they will tell you they are way ahead of the game and love you for it. Good Luck!